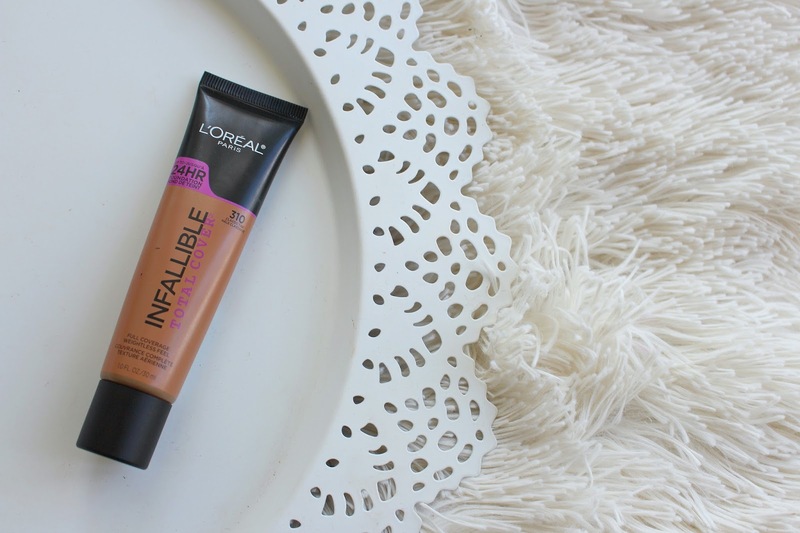 The latest foundation in L'Oreal's extensive line of face products is the L'Oreal Infallible Total Cover Foundation. Depending on where you live this can retail for anywhere between 12.99 and 19.99 and comes in 12 different shades. 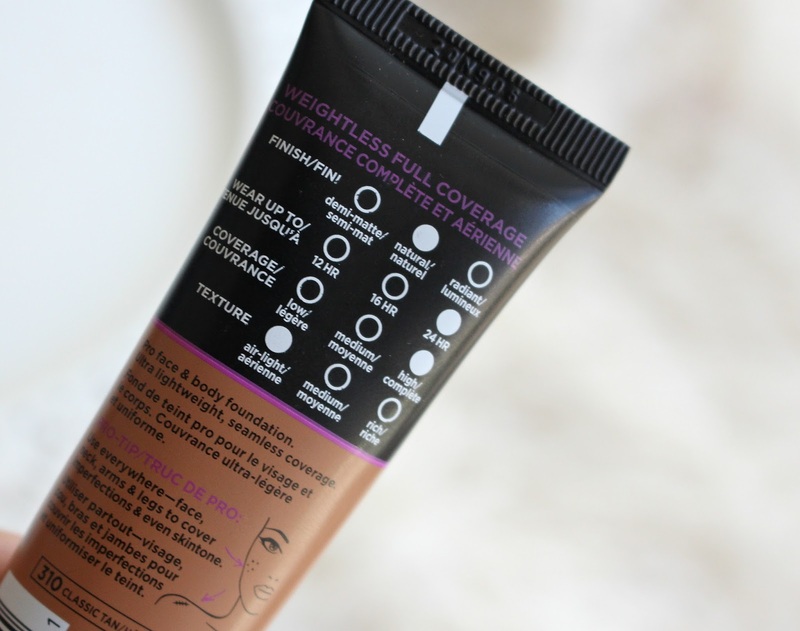 I'm a huge fan of the L'Oreal Pro Matte foundation, so I was really excited to try this! If you'd like to see it in action and a wear test on my oily skin I have a full review on my YouTube Channel. 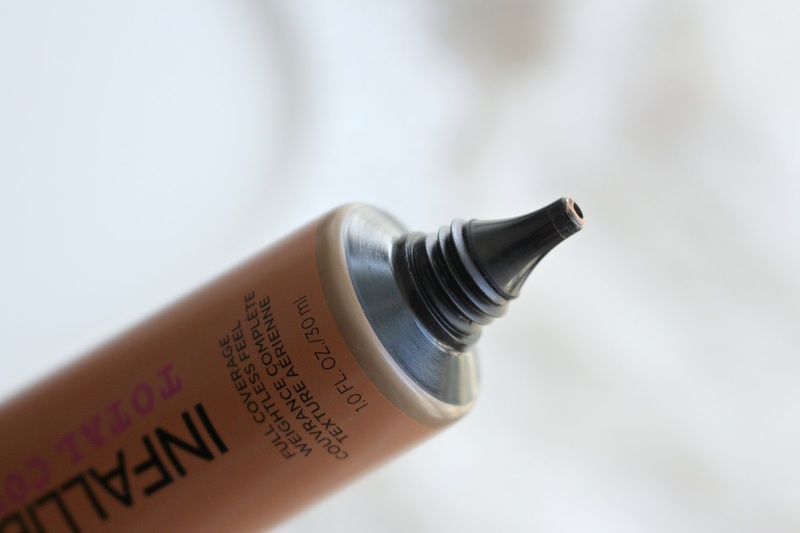 This foundation claims to give 24 hour wear, with a lightweight natural finish and very high coverage. So much so that on the display in store they are showing tattoos being covered up. 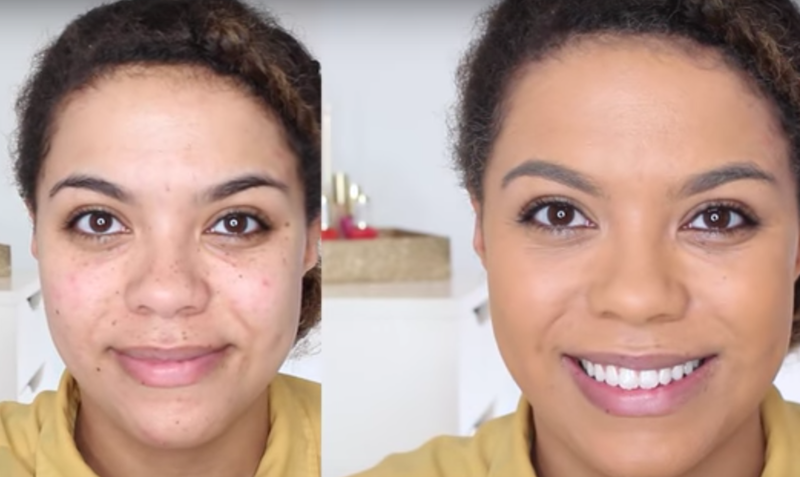 They list it as full coverage enough to conceal dark spots, blemishes, scars and hyper pigmentation. 12 different shades in my opinion is lacking, considering their True Match line is much more inclusive. I had this same problem with the Pro-Matte, although I love it, the shade I use 108, is far too yellow. The shades also don't totally correspond between the lines. 308 in total cover wouldn't have been a great match for me. 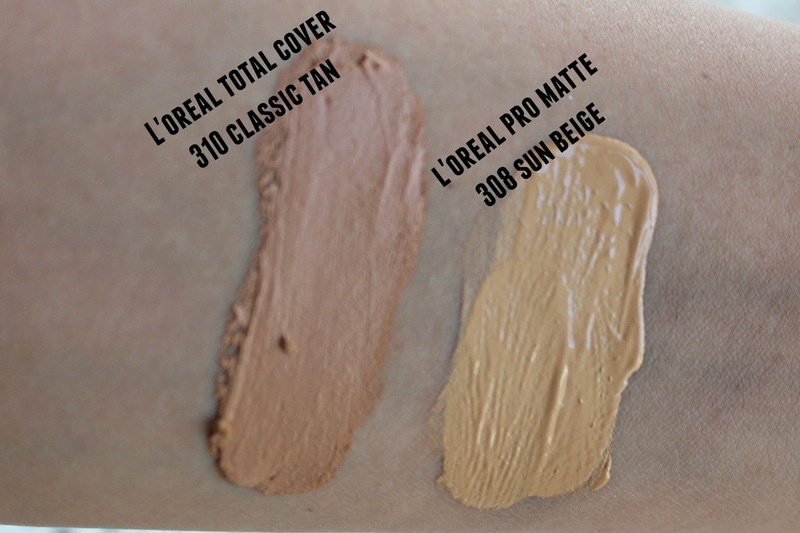 I'm wearing the shade 310 Classic Tan, which is slightly too deep for me, I'm an NC 42 at MAC. The packaging is different than both the Pro-Matte and Pro-Glow, this tube does not allow you to see the colour, just slightly along the bottom. So be careful when in store trying to choose your shade. This also has a very small tip in which the product comes out of. Not sure the thinking on this, because the texture is super thick and mousse-y. This can cause a bit of a mess when squeezing hard to get the product out. Application for me was by far better with a dense brush, a damp sponge surprisingly left it patchy. L'Oreal Total Cover Foundation mentions that the formula is enriched with "Alliagel". After doing some light research, I cannot find a ton about it. The term is owned by L'Oreal and it shows up in Vichy/Dermablend products too, which is owned by L'Oreal. From what I've gathered Alligel helps with smoothing the texture of the skin for a more flawless application. It isn't actually listed on the ingredients so making a big assumption I think it would be some combination of the glycerin or dimethicone that is included. This foundation also contains salicylic acid, I know that some people either love or hate that, so I thought I'd mention! If you haven't already gathered, this foundation as a miss for me. The shade I purchased was a little off, that I can get over. But the texture of this is just bizarre. It feels incredibly heavy on the skin and just sits there. I preferred to wear it in a very, very light layer and could get away without powder it does have a pretty matte and not natural finish. I thought I liked it at first, wearing it lightly it did an okay job, had good wear time and I didn't get too oily. That being said it is no where near the super full coverage it claims, it feels heavy on the skin and there is just so much else out there! It is the kind of foundation that you just know is going to transfer and you are afraid to even touch your face to have it swipe off a chunk of the foundation. Pro-Matte, I love, I know Pro-Glow has great reviews as well. *This product was provided for my review and some links are affiliate.